Once you’ve been picked up from the local airport by Mads, our representative, you will be taken to a comfortable Lodge on the outskirts of Arusha where you will be based for your orientation. Meals will be provided (you pay for your own drinks) and you can relax in the lush green surroundings of the complex. There is a swimming pool where you can relax. The aim of the first few days is for you to get over your flight, organise your Class C Permit, have your initial Swahili lessons and also for Mads to remind you about the important health and safety issues. We’ll also give you a tour of Arusha and of the projects that you will be volunteering at. We provide all volunteers with a local SIM card and mosquito net. Frank, who is Mads assistant and runs a trekking company, will organise for you and your group to go on a day hike to the Oldonyo Sapuk waterfall, located on the slopes of Mt Meru, during your first few days. Your day’s hike is designed as an introduction to Tanzania and gives you the opportunity to get to know your fellow volunteers. It will take around 7 hours but is not designed to be too physically demanding! I would suggest taking a good pair of worn-in walking boots with you. From the lower slopes of Meru, you will walk through local villages where the residents grow local crops, such as coffee, banana, maize and vegetables. The local tribe is Waarusha who are related to the Massai. You will visit a local boma (house) and school to learn about the culture and traditions of this tribe as well. Along the way you will get the opportunity to chat with the local people, interact with the children and work on your Swahili! You walk along the Temi River, towards the waterfall. 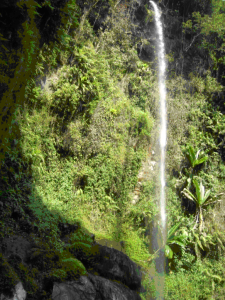 When you reach the waterfalls you will have the opportunity to swim (bring your swimming stuff & a towel!) in the cool water and also have lunch while viewing the breathtaking waterfall. You will pass through different areas – forest, cultivated land and water and see some amazing views along the way. This day trip is often one of the highlights for our volunteers so do look forward to it! Teaching in Tanzania is an amazing way to spend your gap year. Although, if you were just to teach for 12 weeks non-stop, you wouldn’t experience much of the country itself. 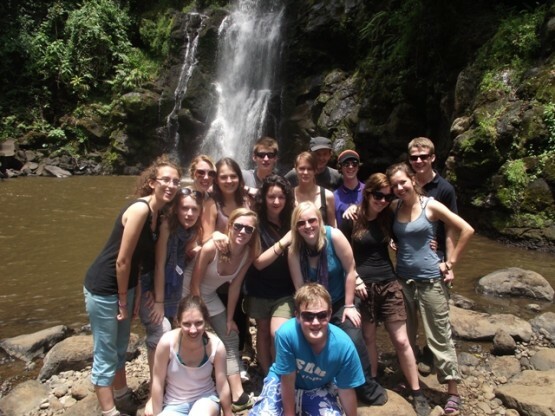 Combining teaching with this waterfalls trek and other trips we can run, give our Tanzania volunteers a much broader experience.